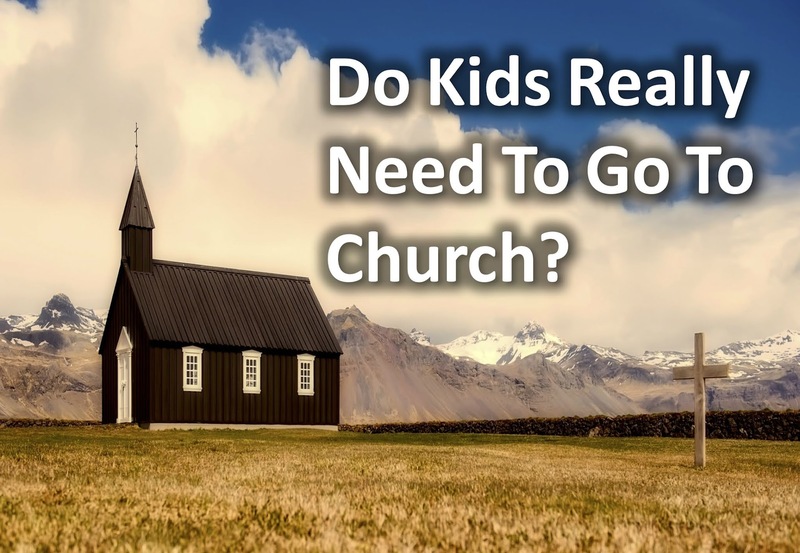 Do Kids Really Need to Go to Church? Here's a common scenario. Single young adults head off to college and drop out of church for various reasons. They meet someone, get married and have their first child. The weighty responsibility of having a baby causes them to go back to church. They want their child to grow up to be a good person and taking the child to church is seen as a great way to help with this. But there is also another scenario that is playing out more and more often. And that's this - parents opt out of church and look for other ways to teach their children various life lessons. This is becoming more frequent. Worldwide, the total number of people who are nones (claim no religion), is increasing. The number of people who claim no religious affiliation is expected to rise from 1.17 billion to 1.20 billion by 2060. In the U.S., about 25% of people are nones. This is up from 16% in 2007. Though more and more people are claiming no religion, young couples are still drawn to church on behalf of their kids. Even in cases where the parents are nones, deep inside they feel an obligation to take their young children to church. Church is seen as a place that can help instill core teachings so their children can become productive members of society. But do kids really need to go to church? Does it really have a lasting effect on their lives? The answer is YES. A big, big YES. Besides the obvious spiritual benefits, attending church has great benefits for kids as they grown up. But...there is a clause that parents must keep in mind. Though many children are attending church, it is inconsistent and sporadic. Look at this. Inconsistent religiousness seems to bring little to no benefit at all: religion is not especially helpful for the roughly 53% of US adolescents whose faith is sporadic or poorly integrated.” -Annette Mahoney, professor of psychology at Bowling Green State University. Sporadic...poorly integrated...sound familiar? In recent years, we have seen families attending church less frequently. In many cases, they show up once a month. Twice a month is considered the new "faithful." This means a big percentage of children who attend church, are only establishing a weak, shallow faith due to infrequent attendance. In other words, it's hard to build a solid spiritual foundation in kids' lives, when they are missing 50-75% of the lessons. And yes, parents are the biggest influence in their child's spiritual life. But a parent who is only bringing their child to church once or twice a month, is probably following that same pattern in disciplining their child at home. Speaking of parents, let's dive a little deeper on that topic. For young parents, parenting can be hard and exhausting. The church becomes a place that can help them cope with this and get through the different phases of childhood. The church becomes a support network for them. That's one reason why I believe you shouldn't "require" parents to serve in children's ministry. For a young mom with a preschooler, the last place she needs to be on Sunday morning is in a classroom full of preschoolers. We must stop "guilting" or "requiring" parents to serve in their child's environment at church. I'm not saying we shouldn't encourage parents to serve. We should. And for many of them, serving in their child's environment is a joy. But notice I said "joy." If it's not a joy. then help them find somewhere else to serve that they can be passionate about. You want people serving in your children's ministry to be called to that age group. You want volunteers in your children's ministry who are excited about being there, not someone who is required to be there. Jury duty and school are the only places people are required to be and I don't see many people jumping for joy when they have to participate. I believe there are some big questions we must find answers to, if we are going to be effective in making disciples in the next generation as well as their parents. How do we see families attend church more consistently? How do we balance asking parents to serve in children's ministry? How do we help parents see their role in disciplining their children? Your turn. The floor is yours. How are you engaging young families in your ministry? What are your thoughts and answers to the questions above? Share with us in the comment section below.